We hear of various milestone years in business here at Bus and Coach Buyer; 25, 50 or for some, even 75. 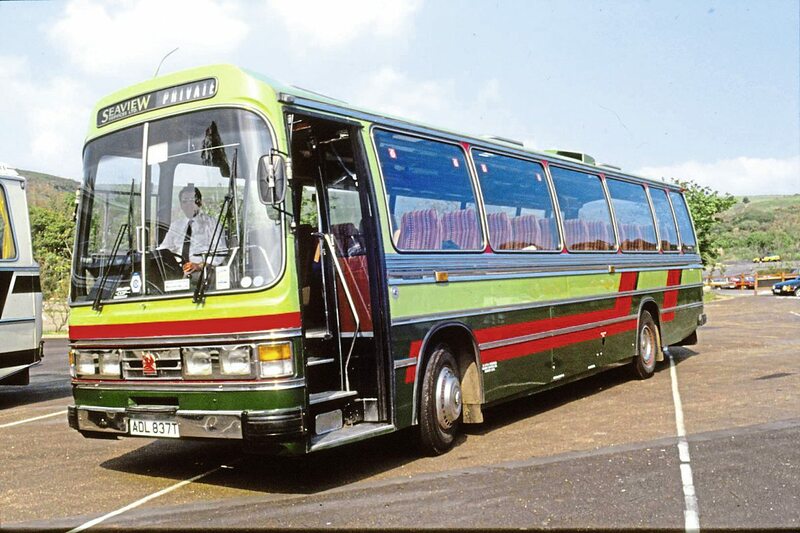 But Seaview Services’ 100 years is perhaps one of the rarest landmarks we have reported on, making it even more commendable. 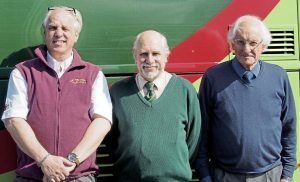 Such an occasion prompted Chris Peat to cross the rain-swept Solent to visit the Isle of Wight based family-owned operator. 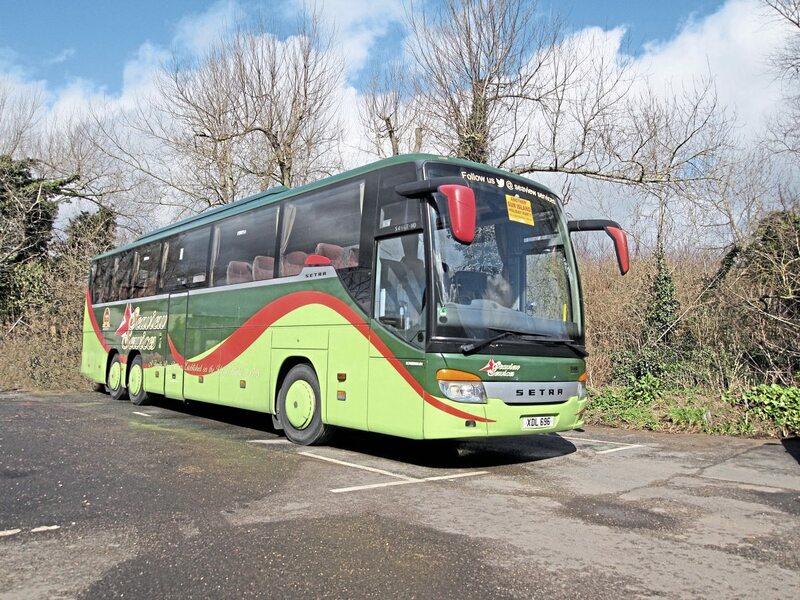 As the precipitation dissipated to give way to sunshine on the island, Seaview Services’ Phil Robinson was not only keen to talk about the centenary, he also wanted to highlight what the Isle of Wight has to offer the coach tourist and spoke about the challenges of running coaches on the island. For an operator, 100 years in business is a remarkable achievement. But to the Isle of Wight, an island steeped in history, a century is not all that long. 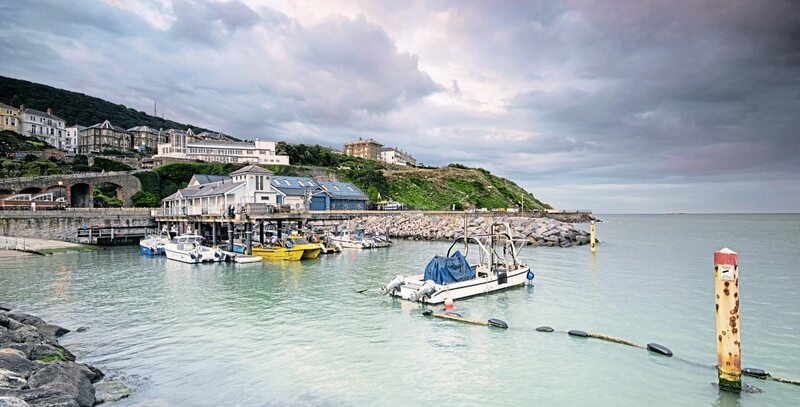 Having links back to prehistoric times with its fossil-rich beds, the island’s timeline encompasses Roman conquerors, Germanic tribes, Viking raids, French invasions and a famous former-resident in Queen Victoria. Do not let these dramatic occurrences dwarf the importance of Seaview Services to the island. 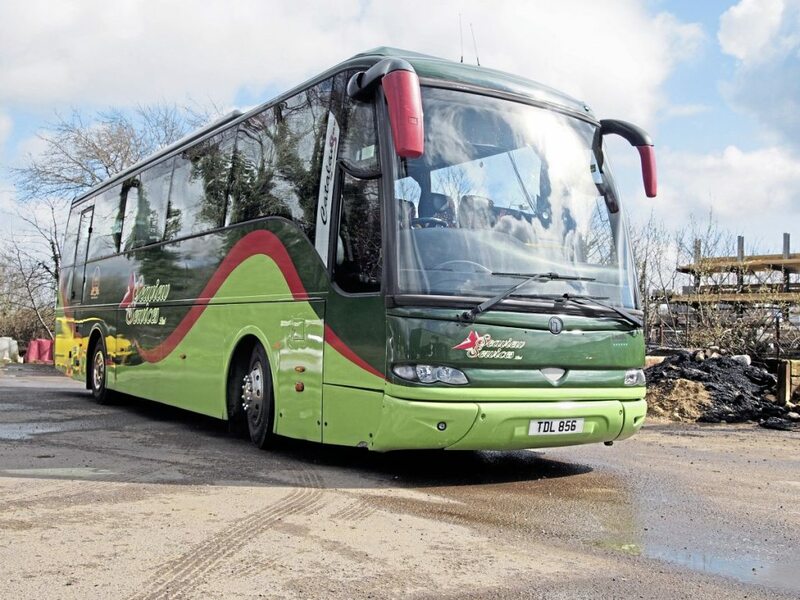 The company’s two-tone green and red liveried coaches have become part of the island’s furniture. 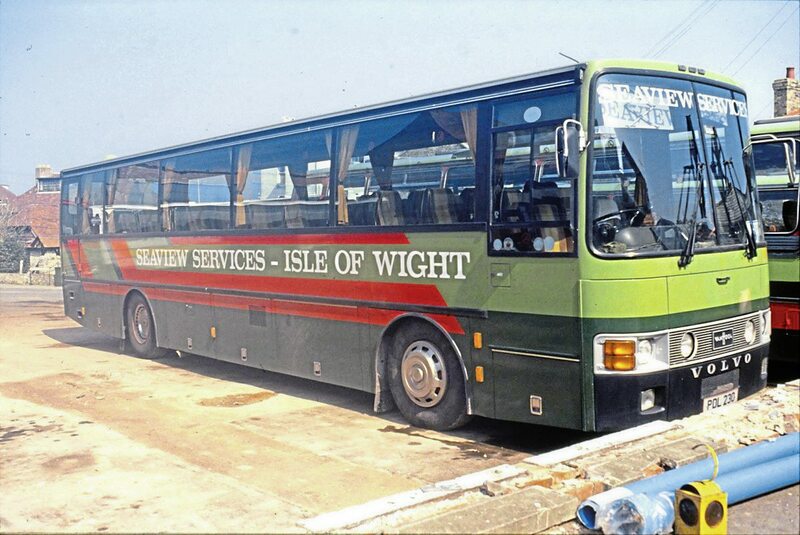 In fact, the operation has been immortalised in the isle’s history at the Isle of Wight Bus and Coach Museum, which has some of Seaview’s vehicles. To mark the occasion of 100 years, a book has been written on Seaview Services by Terry Jones, with copies of it luckily landing in the depot the day before my visit. 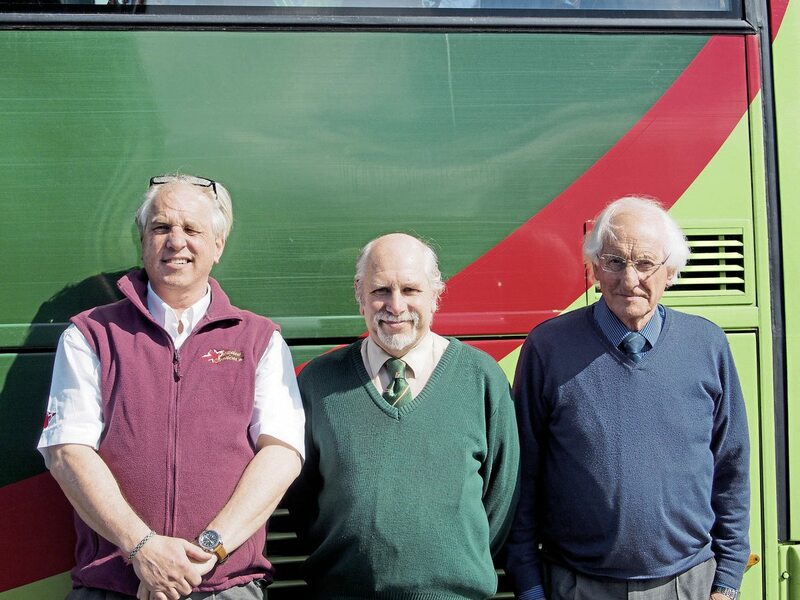 Terry, who bus and coach enthusiasts may know from his previous works on Claverham Garage, Shotters and Moss Motor Tours, was on hand to present a signed copy of the publication. The book covers the full history of the operation, which was started in 1922 by Richard Newell, who commenced a bus service on the island. The Newell family had been busy providing taxi services in the island before that date. The Newell’s coaching operation was run under the name Newell’s Express Motor Services. 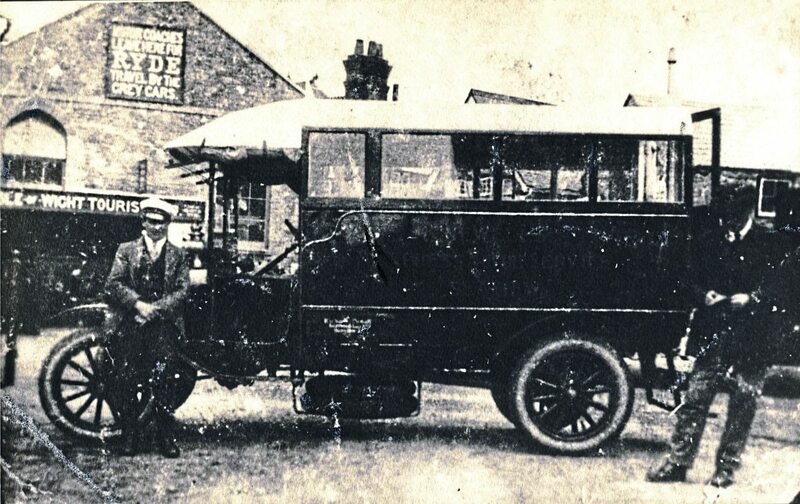 Its first PCV was a Ford Model T, christened Twinkle. As holiday camps sprang up in the 1930s on the island, the company’s name was changed to Newells (Seaview). It took another new moniker in 1942, the now more familiar Seaview Services. On the death of Richard Newell, Seaview Services changed hands to John H. Higgin. During WWII, the island’s holiday camps were requisitioned by the military. Seaview Services did its bit for the war effort with a pair of OWB utility buses being allocated to the company towards the end of the war. As peace returned, there was great demand in the area for transport, with the rise of “Round the Island” tours. The story goes that around this time John Higgin became good friends with Colonel Warner, who set up holiday camps in the area. 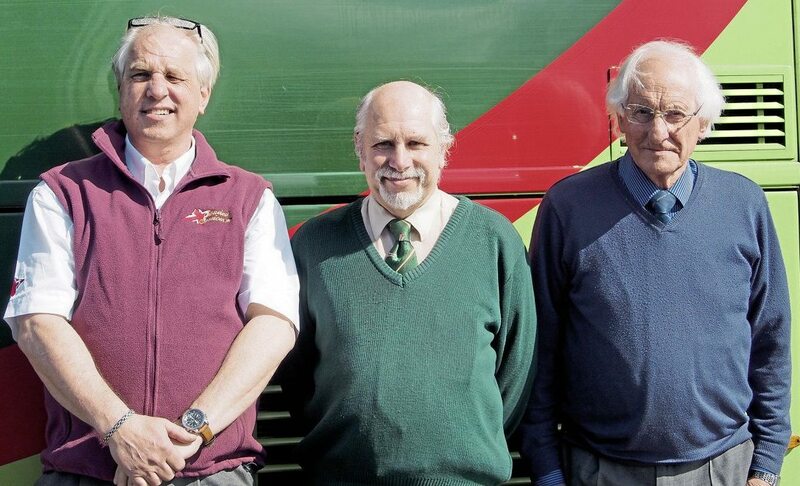 Being good drinking partners, the Colonel offered John exclusive rights to the transport work for his tourists if he promised to paint his buses in his green and red colours. This was agreed, giving birth to the operation’s current livery. The fleet grew in the ‘50s, often times being augmented in the peak tourism seasons with coaches hired in from dealers. Unfortunately, this boom did not last, as the ‘60s saw rising car ownership decrease public transport usage. However, the company survived and in 1963 it purchased Read’s Grey and Red Coaches of Ryde. John Higgin retired in 1979, with Albert and Mary Robinson, who had their own much smaller operation, taking the company over in 1980. 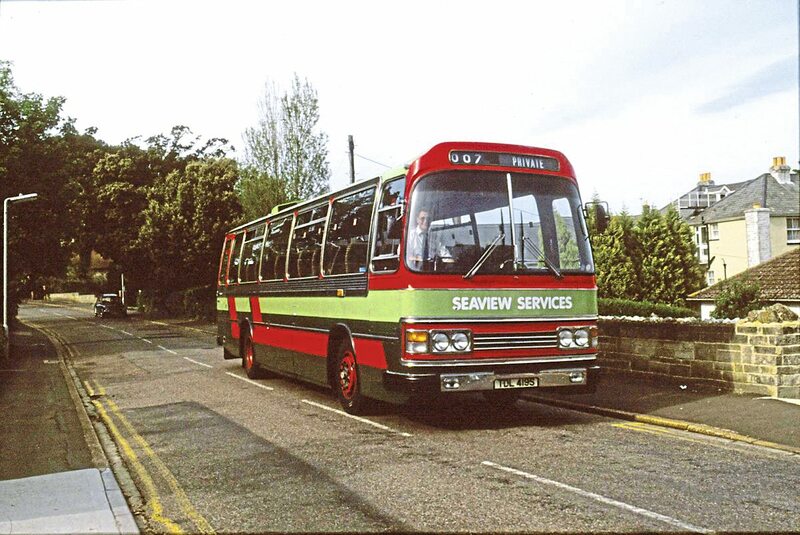 They decided to keep the Seaview Services name, preserving its goodwill it had accrued over the years. As deregulation hit the industry in the mid-80s, the operation changed the branding of its stage-carriage operations to Redlynx, which was given a new red livery. 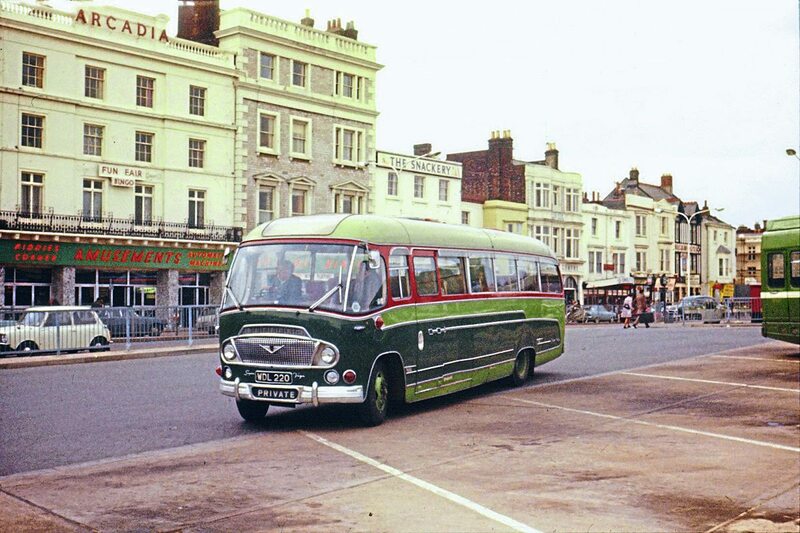 At this time, it registered an extension of its route from Ryde, putting it in direct competition with Southern Vectis. After retaliatory action and further competition, an agreement was reached among the operators, which saw a scaling down of the commercial conflict. Seaview Services has had disagreements with Southern Vectis since then, but in general Phil says the operators get on with each other. In 1989, its original Seafield Garage depot in Seaview was sold for redevelopment and partially demolished. Its new site was in Sandown, but in honour of its old facility was named Seafield Garage. One of the latest developments at Seaview was its move of depot to a smaller site just over the road in Sandown. It has also cut its fleet back in the last decade from 15 vehicles to five. It has an O licence for eight and employs just the one full-time driver, with several part-time drivers to call upon when needed. What does Phil think the future holds for the operation? “Looking ahead, I think we are all going to find it very hard. It’s these LEZs and CAZs that are going to crop up. The Isle of Wight is going to be hit by them. Southampton is going to have one in 2020 and Portsmouth is going to have one too. It means we are going to be hit to get onto the mainland. We’re going to be stuffed! “To invest in new vehicles to make us compliant with it, it’s going to be in the realm of £2m. We would love to go buy five new vehicles, but there is no way we can afford £2m worth of vehicles. 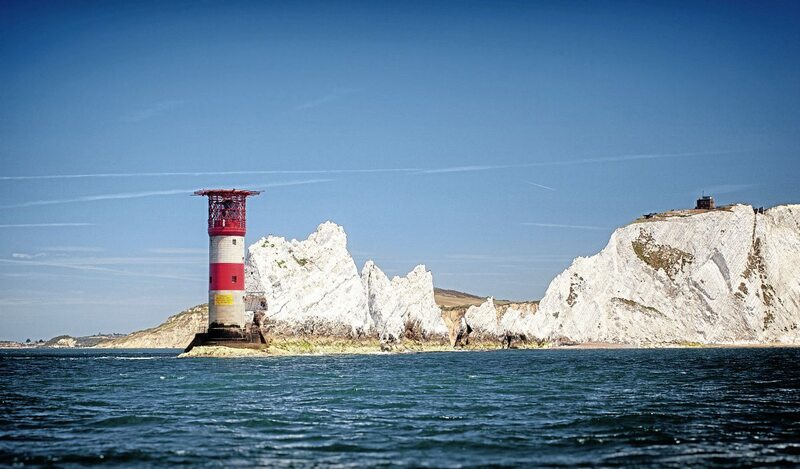 It is our biggest challenge and not just for Seaview but the Isle of Wight. Although you never know . . . we might win the lottery! Seaview’s biggest earner is school parties, generally from the south coast and London, taking them into the Isle of Wight. Phil said: “We do up to three coaches a week in summer.” With the CAZs coming up, he believes schools may have to pay “big money” for coach trips. Seaview Services works with both Red Funnel and Wightlink ferries, with Phil describing his relationship with them as good. This author crossed the Solent on a Red Funnel ferry between East Cowes and Southampton. The service was good, with plenty of choice of seating on the ship and great food. Red Funnel’s ‘Dancing Man’, Jim O’Reilly, helped usher the author’s car off the ferry and the dancing moves that won him VisitEngland’s 2018 Tourism Superstar Award were present while doing so. He had received 64% of the record 20,642 votes cast by members of the public to receive the accolade. The company also gets a number of Dutch and French groups visit. Cruise work is something it does, with three jobs lined up for this year, receiving passengers coming into harbour at Cowes. 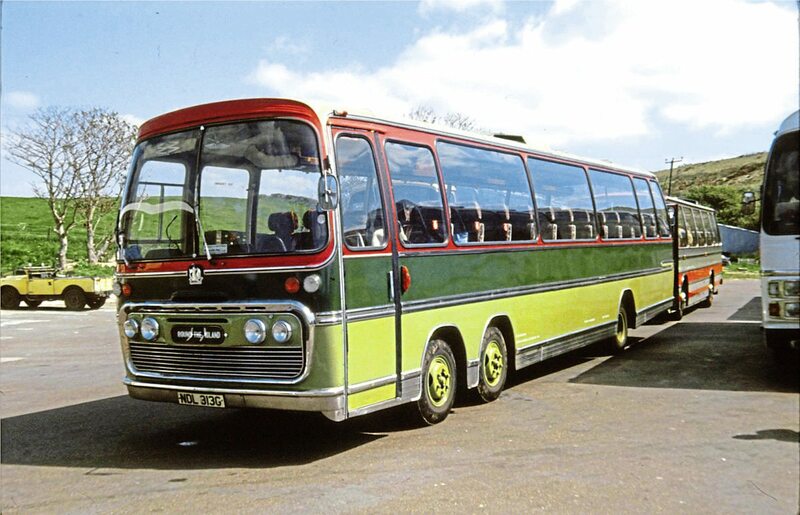 What killed off a lot of round-the-island tours was the release of local operator Southern Vectis’s Rover tickets. These allow passengers unlimited travel across the island’s bus network, which is run by the Go-Ahead Group owned operator. The Isle of Wight has a large retired population, Phil explained, who can use their bus pass for free bus travel around the Isle, another factor he believes has damaged his tour business. Phil is used to challenges in the industry though. “I set up the island’s first CPC training centre here because I knew it was going to be difficult to get trained when the requirement came in.” He has opened this training up to other operators in the area, including truck companies. Last year Phil set up a deal with Cotswold Medicals, seeing the organisation’s health professionals visit the operator to carry out the medicals, meaning the drivers do not have to go to the mainland for them. The island is a difficult place to operate, Phil admits. 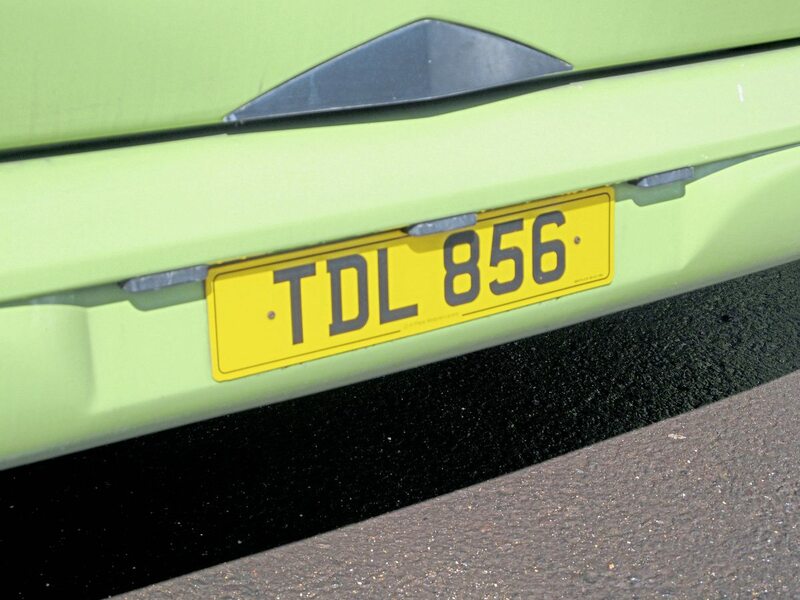 He mentioned Moss Motor Tours, a fellow Isle of Wight operator, which ceased trading. He said: “They had just had enough.” With a laugh, he added: “That’s what we feel like sometimes. It is hard, but the mainland operators are having a hard time too. But we try our best. Another challenge of running a fleet on the island is drivers hours laws. The island counts as an off-shore territory and the operator runs on EU hours . If the operator stayed on the island, it would run on domestic hours. So the hours are longer for it getting on and off the island, which means a normal day is 14 to 15 hour days. The coaches are all calibrated for EU regulations. Despite the challenges ahead in the industry, compounded by the difficulty of operating on the Isle of Wight, Phil remains strong. Dearly missing driving, he is passionate about coaching and the island. This is evident in his telling of coach driver tales of the island (the one about English archers making rude gestures to French soldiers was particularly amusing), which he did until the sun began to set. Phil is keen to promote the Isle of Wight.